A common cause of quality defects and customer complaints is that we misinterpret random variations in our processes. If we then adjust the process according to our misinterpretation, this results in an even wider variation, to the detriment of overall quality. What is often lacking is a statistical view of the process. Statistical process control gives you fewer rejects, fewer expensive stoppages, more satisfied customers and higher profits. With statistical process control you get a firm grip on your manufacturing process. Here you can find out what statistical process control is all about, without formulae or technical jargon. Sign up for the news letter Capable! » (external site) New! This site is sponsored by Nielsen Consulting to promote knowledge of statistical process control in manufacturing industry. 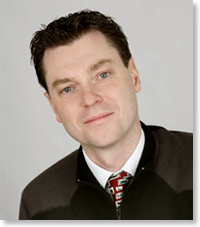 Michael Nielsen, designer of the training course SPC – in plain language.